Liberal junior Justin McPhail is the Mead Lumber Athlete of the Week. The 215 pound McPhail is 15-0 after an 8-0 weekend at Rio Rancho and a 7-0 Colby tournament. 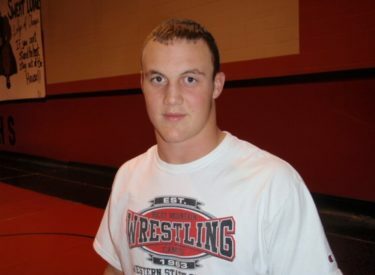 He placed third at state as a sophomore at 189 pounds. McPhail was also selected 1st team all state in the Wichita Eagle in football. The linebacker led the Redskins with 128 tackles and six sacks. McPhail’s interview aired Thursday on Talkradio 1270.